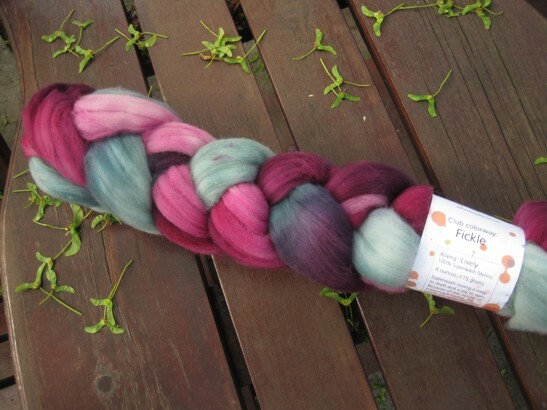 I have, I think, about 10 days left to decide whether I want to buy more Twisted Fiber Art yarn or fiber in this season's club colours (yes) and if so, which colours (all of them) on which base yarns or rovings (erm... all of them?) and in which colour formation - self-striping, or evolving. GAH. head, exploding. too much choice! This last one is 'Cottage', and I know for sure I am getting some of that. The green in it is pretty close to the wool I got for a cardi and how cute would a little matching something be? 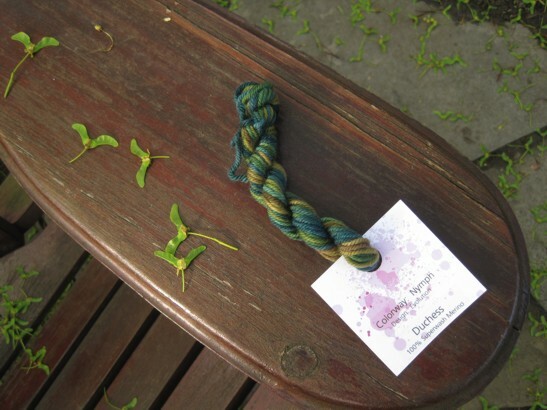 evolving, in which case I would need to buy two skeins of the colour in question (see above) and use up the remains in a hat. Getting closer. Assuming those greens do match - why haven't I checked that yet? 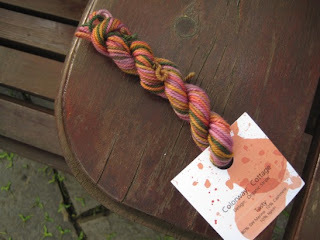 - I'll buy some Cottage in an evolving skein for a shawl even though I don't need one, because a cardi/shawl twinset would be awesome for fall. And I'll get another colour in 2 evolving skeins for socks. And then my head really will explode because there is no way I can knit all that yarn plus the yarn I bought at the Frolic before the Knitter's Fair in September when you just know I will want to be shopping.